Burst of flavours is assured with every bite into this russian braided pesto bread which is a very soft savoury bread and is easily baked at home. It is been a while since I baked a loaf of bread. The main reason being the kids are away on work and we both are off gluten. But I love baking bread. It is therapeutic. 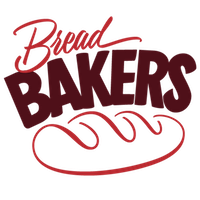 So when Sonia gupta suggested we the theme of braided bread for bread bakers. I realised I had not baked with them for a very long time now and I had to get baking to baking bread. But then what would I do with the baked bread if I cannot enjoy it? Well, when I have friends who do not mind tasting it, I have every reason to bake it. Then the next question was would I bake a sweet or a savoury bread? Vibha always likes a savoury bread and though she is not here, I baked this Russian braided pesto bread, so that one day she will see this, gets inspired and bake herself. I wonder why this braid is called as Russian? Did it have its origin in Russia? I am not sure but I love this braid. The way the fillings slightly gets exposed and look of the filling trying to peep out makes me smile every time I make such a braid. While I was braiding this bread, I have decided that my next bake will be a sweet one. We can customise this bread in many ways. If we want to be off refined flour, then we can bake it with whole wheat flour. Have a sweet tooth, then make a sweet filling, chocoholic then make a chocolate filling, the options are many. Though the braiding might sound difficult, I have shown the step by step braiding in my earlier bread here. Please have a look at Twisted spring onion swirl bread for the easy braiding pictures. The pesto that I have used here is cashew coriander pesto and I love this pesto than the one which uses basil. But again you can vary the pesto which you are using in this bread. Now, slowly add water and keep mixing. Take out the dough from the stand mixer and keep it in a well-oiled bowl. Cover it well and let it rise in the bowl for 1 hr for it to double in volume. In summer it might take only 40 minutes or so. Veena, thanks to you, we really enjoyed every single bite of it. I must thank Vibha as well for liking savory bread and making you bake it..lol..pls bake more often!